I’ve gained a few followers this week, so I just wanted to say, “Welcome!” before I begin my Favorites Friday post for this week. If you’re new to my blog, this is my fourth week (I think?) of Favorites Friday. Definitely not my idea, but I like it because I can reflect on my week and show you all some things that maybe I don’t talk about on my blog often. This includes pictures of my kids, pets, or just random things that made me smile that week. I hope you all enjoy reading these posts, as I enjoy creating them! 1. Okay, so I am a donut-aholic. I love them. When I saw this mug at Target, I grabbed it and squealed on the inside. It’s so perfect. 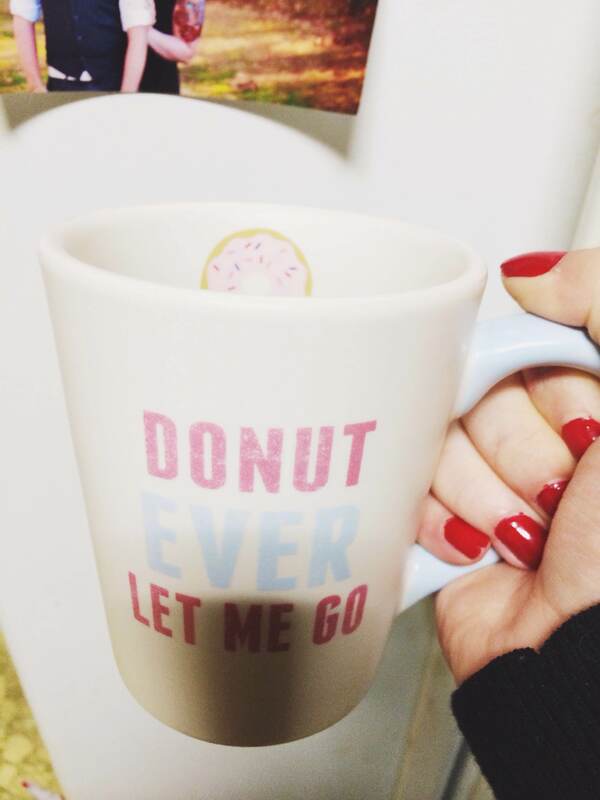 I mean, is there anything better than a great doughnut and a strong cup of coffee? Doubt it. I have yet to find a more perfect combination. 2. These pieces have been my most worn jewelry items. The necklace is named “Athena” and is from shophellkitten’s shop on etsy. This necklace is everything. Athena was always one of my favorite goddesses to learn and read about in Latin, and when I saw this necklace was black I knew she just needed to be around my neck. I feel so beautiful and empowered with this necklace on. 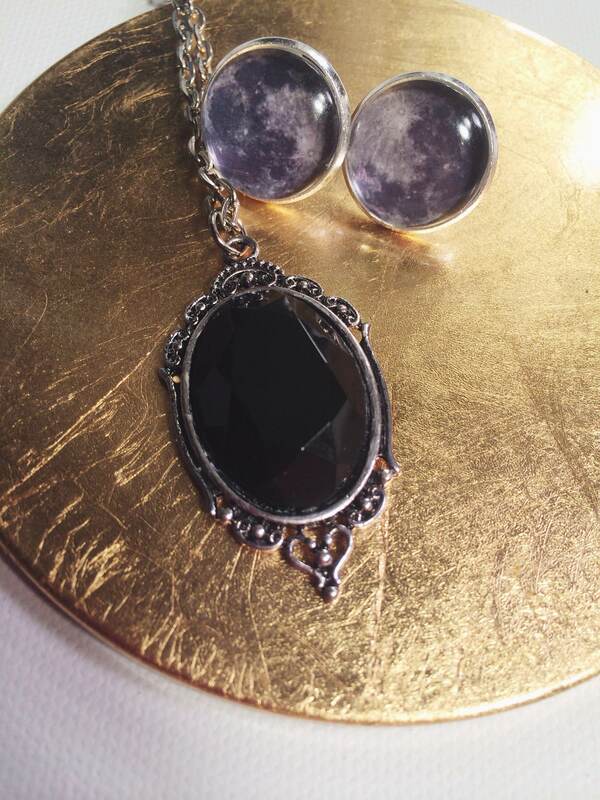 The moon earrings are from worship13.storenvy.com, and I think I have mentioned her shop on here before. These earrings are so pretty and very affordable at $8.50. Both of these shops ship very quickly, and are so friendly. 3. My favorite lip combo has been the lippie stick “bound” from colourpop cosmetics with lasplash’s “ghoulish” lip couture on top. I have worn this combination almost everyday this week. I adore it. 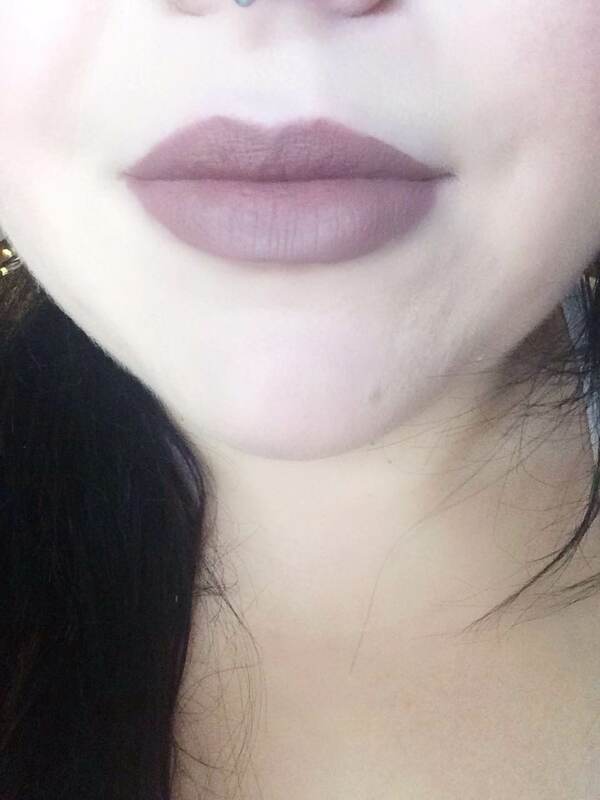 It’s very unique without being too bright, and yet it’s neutral so I can pair it with many different eye looks. If you haven’t checked out lasplash, you should! Their liquid lipsticks last all day, no joke. 4. 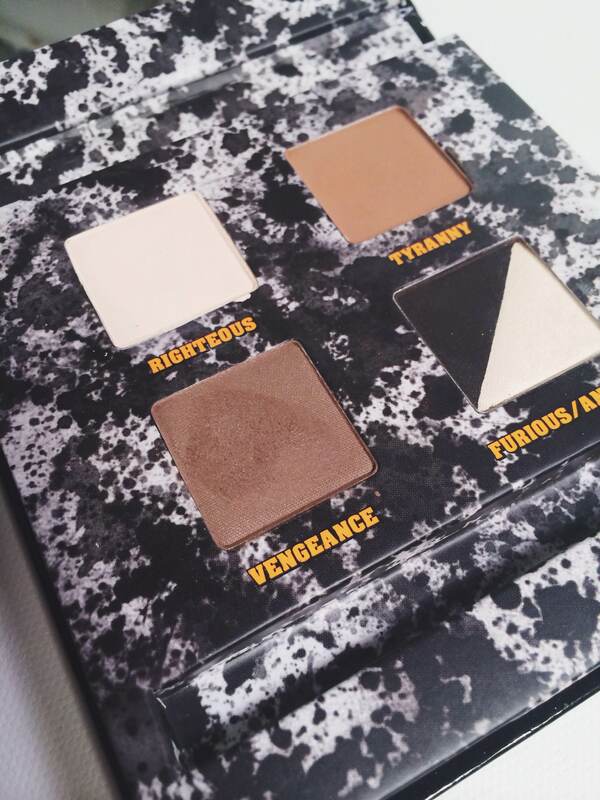 The palette I have reached for the most this week has been the Urban Decay Pulp Fiction palette. I will admit that I didn’t buy this for so long because it looked so plain. However, I did buy it when it was $16 on sephora stacked with an extra 20% off because I needed to add something to get free shipping. I will never underestimate a simple looking palette ever again. The colors in this palette are so buttery and smooth. Gah, this palette seems so plain, but I have created quite a few different looks with it. So gorgeous. 5. I was bored yesterday and decided to meander through Ulta to see if anything new was out. I found these pretty little babies! Nyx lip products are BOGO 50% off this week so I picked up two of the new intense butter glosses in “Chocolate Crepe” and “Spice Cake.” I also picked up one of the new prismatic eyeshadows in “Girl Talk” and oh man, I really can’t wait to show you all these products. I have swatched the eyeshadow and it is so pigmented. Like more pigmented than any Nyx shadow I have ever tried. I will be doing a review with swatches of these though, so stay tuned. Those were a few of my favorite things this week, what were some of yours? The PF palette makes the Naked Basics palettes look like junk. LOVE it 🙂 And that coffee cup is too stinkin cute! Target has/had a doughnut sweater for awhile too in the JR dept I think. It might only be online now but if you have their Red Card you can get free shipping. Oooo thanks! I will go look it up now! I don’t even own a Naked Basics palette to compare haha, but I do love the Pulp Fiction one a lot! 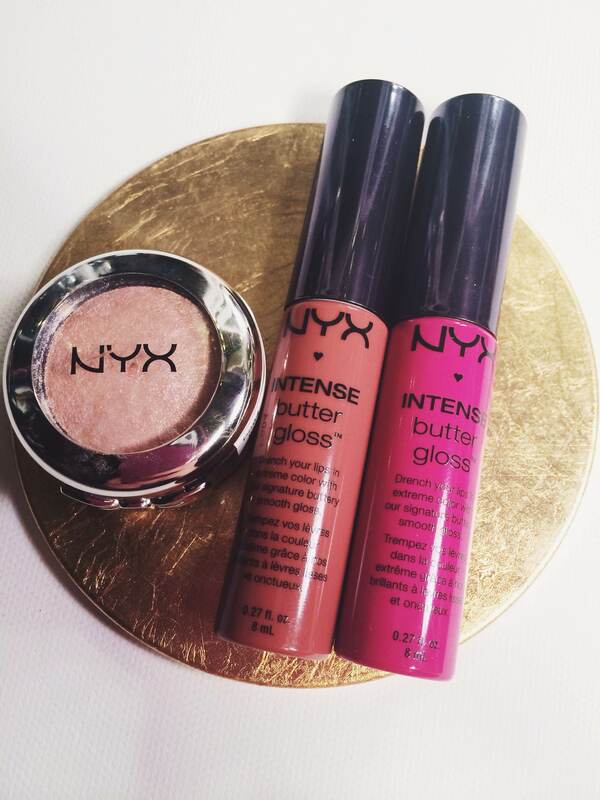 I have got to try the new NYX intense butter gloss! Loving their products lately! I know! They seem to be a brand that is really trying to compete with higher end brands…and I love it!